Eclectic Alu: Let's Share #OOTDs On My Blog! Hi! How was your weekend? We made pancakes on Sunday, and went to the movies. What I would call, a proper lovely Sunday. Do you like OOTDs (outfits of the day) ? I do, I think they provide inspiration and also they are just fun! Today, I thought I'd share all of my OOTD photos from my Instagram. And by all, I mean 2. Yep, that's right, two. But I'm planning on posting more in the future, that is, if you are interested, of course. Judging by the attention they got on Instagram, we mamas, girls, and grown up women in general, enjoy getting ideas from our peers. What do you think? 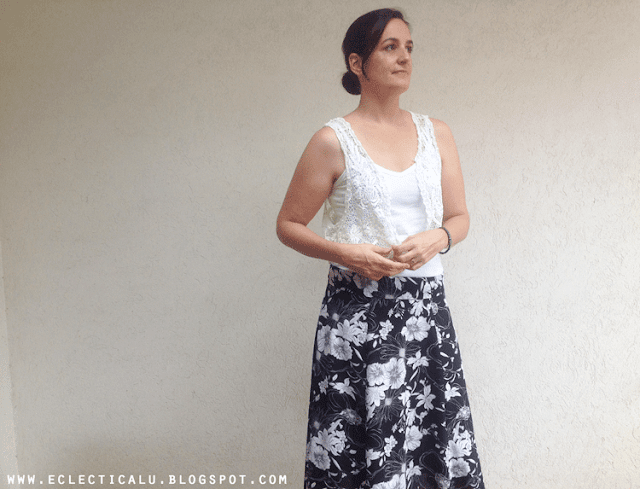 I've also been doing some thinking, and... since I would love to get to know you, and those who make their way into my corner of the internet, I thought I'd start a new series in which I post, every week, the outfits of the day that you'd like to share with me. 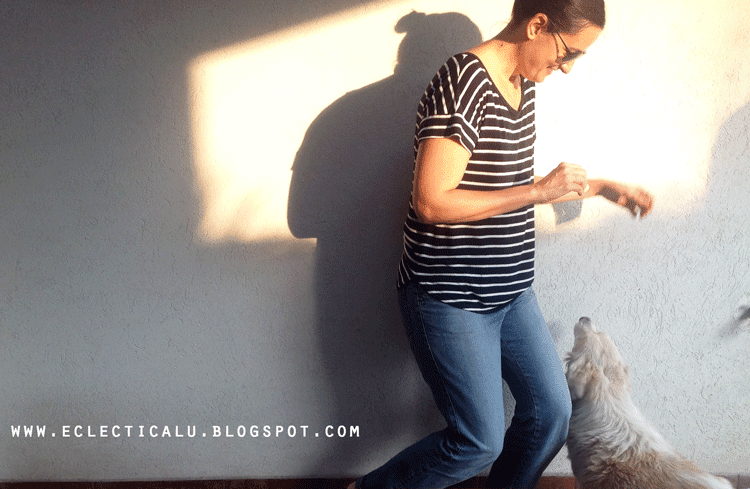 Whether you already have a blog, or not, you'd send me a photo and I would post it on my blog. How does it sound? Let me know in the comments. You'd e-mail a couple of photos, or even one, telling me what you are wearing and I can then post them on my blog. It doesn't have to be anything fancy. Just everyday clothes. Or, get fancy if you want. Ideas are always welcome, any size, any style. Any ootd that you'd like to share with this community will make me happy, and hopefully will make you happy too. This is my e-mail: eclecticalu.com@gmail.com. Write #OOTD in the subject so I can recognize your e-mail easily. Can't wait to feature you guys here! Flopy, our dog, was making sure I was having fun while taking these pics. That top is my favorite for summer, because stripes! It's from Gap. It's also light and easy to pair with mostly anything. In this case (boyfriend) "husband" jeans. Do you like wearing stripes? 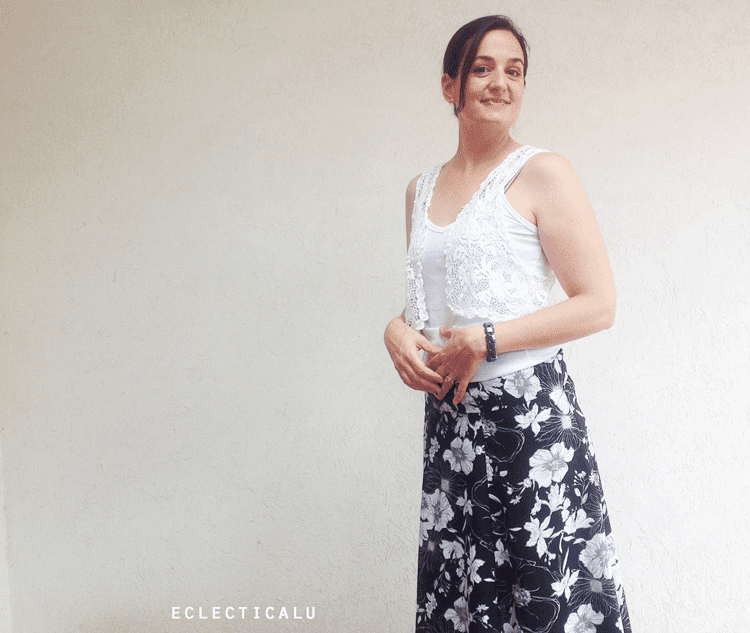 This skirt is from Estancias Chiripa, and it was a birthday gift from my dear friend, Karina. Here's a similar one. Note to self: wear more skirts in the summer. They are so comfortable and fresh. One more thing. Would you like to leave a link to your Instagram in the comments so we can all get to know ourselves better? You are more than welcome to follow me along as well. Sounds like fun? Yes? No? Hi Allure Square, I'm happy to hear that you liked the idea! 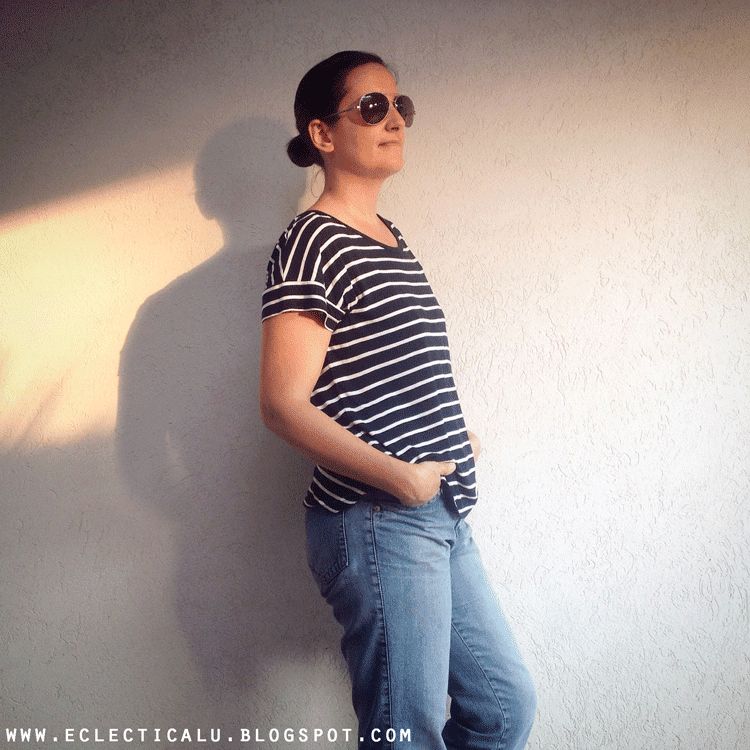 If you'd like to be featured I'd gladly publish it on the next #ootd post. p.s. I previously deleted my own comment by mistake! :/ sorry! ha ha! Priscilla, great! Will keep in touch! Thanks!